LEAF Project Inc · Invest in Youth. Invest in your Community. Invest in LEAF. Your generous support is an investment in young people and the future of the South Central PA community. 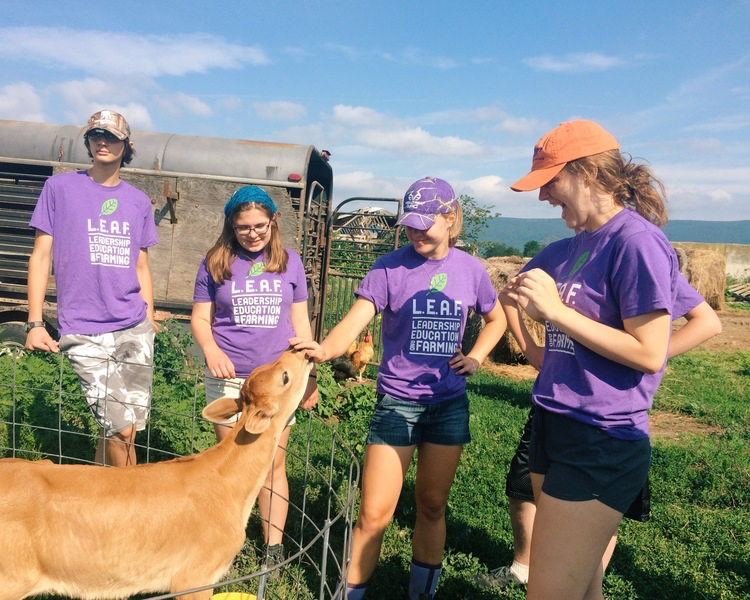 LEAF relies on contributions from the community to continue providing empowering opportunities for youth, as well as to continue donating 50% of our produce to hunger relief organizations and community members. Your support makes this work possible. Thank you! LEAF Project is a 501c3 non-profit organization, and donations are tax-deductible. Interested in becoming part of our LEAF Family Tree? Donate monthly! Select monthly from the drop down menu below to spread your donation out through the whole year. It makes a huge impact for our organization, no matter how small, to have this consistency. Thank you! Would you like to make your donation ONCE or MONTHLY? If you would like to make this donation in honor or memory of someone, please provide their name above. Would you like us to acknowledge the individual? Is this gift on behalf of an organization or business?